Having finally caught up with the rest of world by joining Twitter the next logical step for me was to also update the way in which I game. This could only mean one thing (get it?). 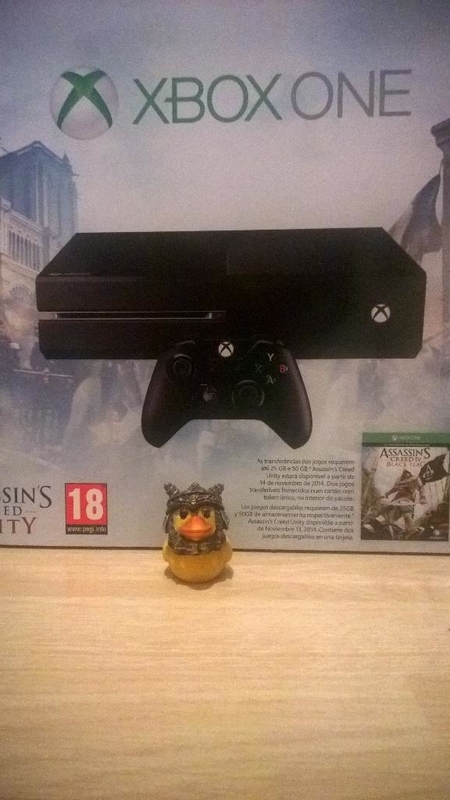 Xbox One! I do feel a degree of sadness in leaving my long serving 360 behind. However, as a duck who is always looking around for what I’m going to be doing next, being able to switch so quickly between doing one thing and then going straight onto the next more than makes up for any upset I may have felt. Also free Assassins Creed twice is not something to be looked down upon. If I am honest, which I generally am, Rogue was something of a disappointment to me for reasons I’m sure I will get around to blogging about at another time. However, I’m hoping that Unity will prove to be better than what the critics have said it is. I greatly enjoyed the Black Flag multiplayer on the Xbox 360 so I’m quite excited to revisit that on a next gen console. Having now bought Minecraft and Terraria, and downloading my two freebies for the month I am now ready and raring to go. However, KingDuck has come over and taken over with his newly purchased Battlefield Hardline. Hopefully we’ll have many happy years ahead of us though. Me and my Xbox that is. SkrimDuckSays ………. So Grown Up I Can’t Even Believe It! I am now officially a big person, erm I meant duck. Obviously. Me and KingDuck are currently in the process of moving into a house together. As a duck I simply can’t wait for all the bills. Get it? Bills. 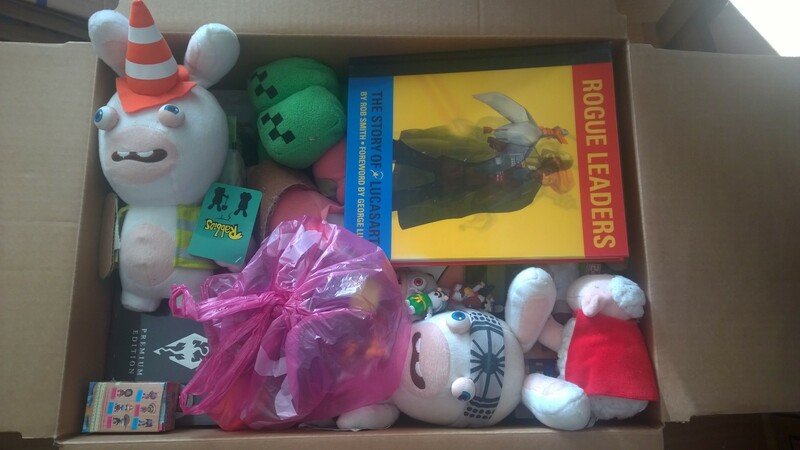 So just in case you were worried on hearing this news that the immature, silly, game playing duck that you all know and love will become a proper adult I would like to share with you a picture of the very first box that I have that is packed and ready to go. As you can see I am more than ready for grown up life with all of my most grown up things. Especially my Skyrim Premium Edition! What house doesn’t need Rabbids, a Creeper and Minecraft Lego. Ours certainly does. KingDuckSays ………. Just call me Adrien Mole! Hold it right there. That’s quite enough of that. There is to be no mention of that awful game in my Kingdom or I shall banish you all. So to make me feel better I am announcing my news first and there is to be no argument. Given that I love my games just as much as SkyrimDuck but the position of games reporter is already taken I shall from now on be bringing you my game diaries. Starting with ………. Minecraft. Expect the first extract as soon as the other ducks have all announced their news. 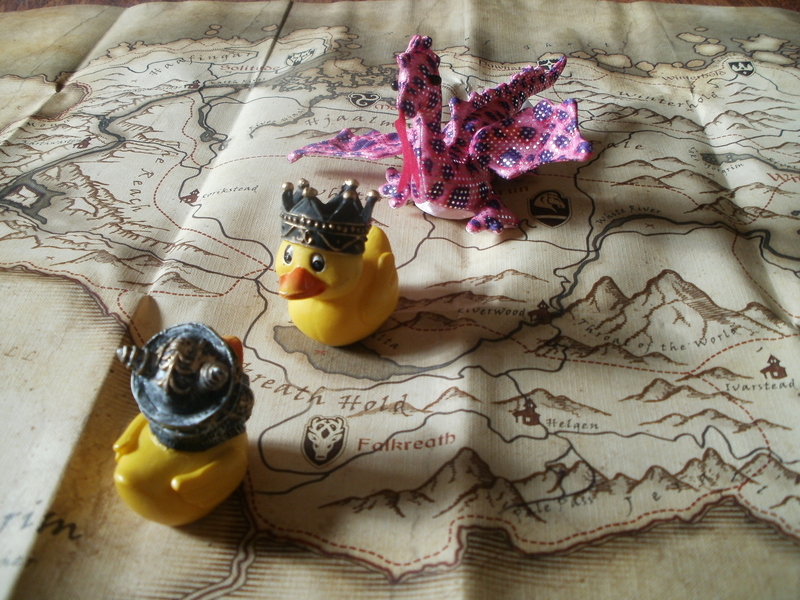 SkyrimDuckSays ……….. Look out behind you KingDuck! So me and KingDuck are out taking a stroll this morning when out pops the most deadly and ferocious species of dragon out there! The pink sparkly dragon. A creature as evil as it is shiny. Luckily, with my ebony great-sword in hand, I soon took care of that problem. Well I am awesome you know. 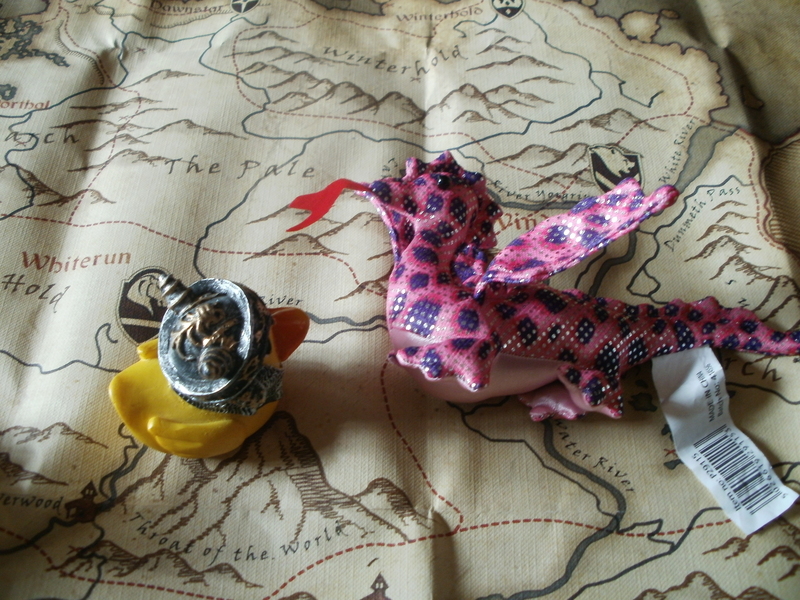 KingDuck, he was a mess, but not me. I only pooped the once.